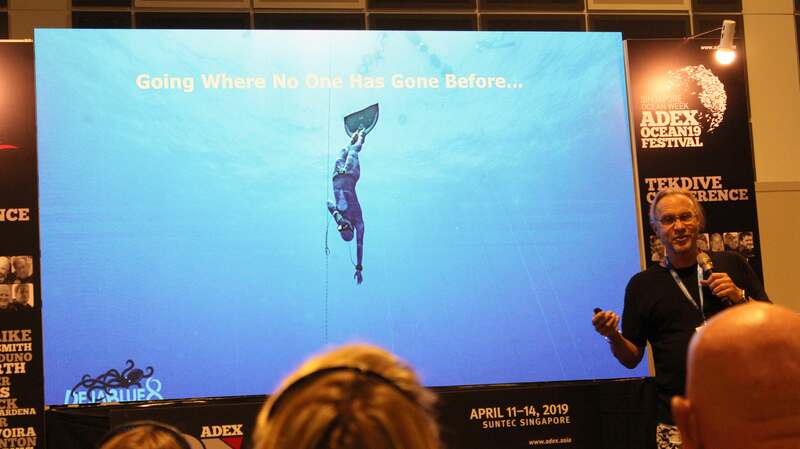 The final day of ADEX Singapore 2019 brought even more excitement as celebrity speakers such as Patty Lee, freediving world record holder Alexei Muchanov, inspirational heroes and thought provoking talks on plastic pollution and tek diving helped pushed excitement at ADEX to a new level. 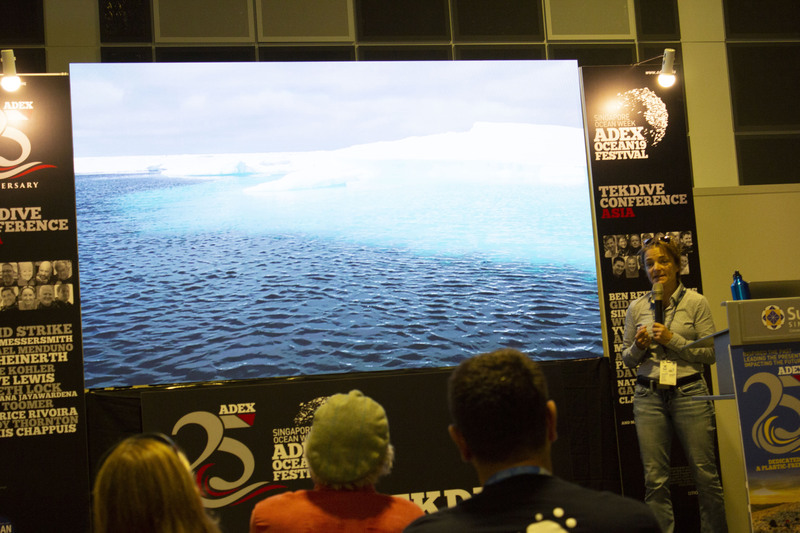 Starting out at 10am in the morning at the Tek Dive Conference, cinematographer and technical diver Nathalie Lasselin talked to the audience about her trip to the Arctic. Showing the audience photos of her trip, Nathalie mentioned that climate change has drastically shortened the ice in the arctic. 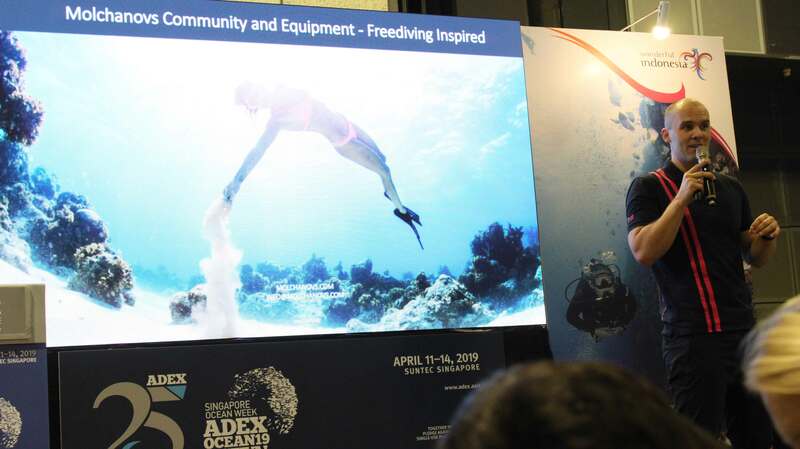 At 11.40am ADEX attendees were treated to a talk by famous Taiwanese TV dive show host Patty Lee, whose television dive show, Salty Mask is on its third season already. Patty’s popular talk at lunch time was followed by an Inspirational Talk by ADEX Heroes. Featuring Her Royal Highness Princess Zatashah Idris, whose sustainability campaign is transforming Malaysia. Famous Indonesian actress, Chelsea Islan, who is also the President and Founder of Youth Of Indonesia and appointed the United Nations Development Programme (UNDP) Indonesia Sustainable Development Goals Mover and National Ambassador for Goal 14 & 15 (Life on Water & Life on Land as also on hand to share her wisom on , the panel also included Ahmed Gabr, the world record holder for the deepest scuba dive at a depth of 325 metres, Ms Brittany, a mermaid who overcame her personal disabilities to become an internationally renowned mermaid and Mark Rausch, who has dedicated his life to helping the disabled and is course director and Handicap Scuba Association. 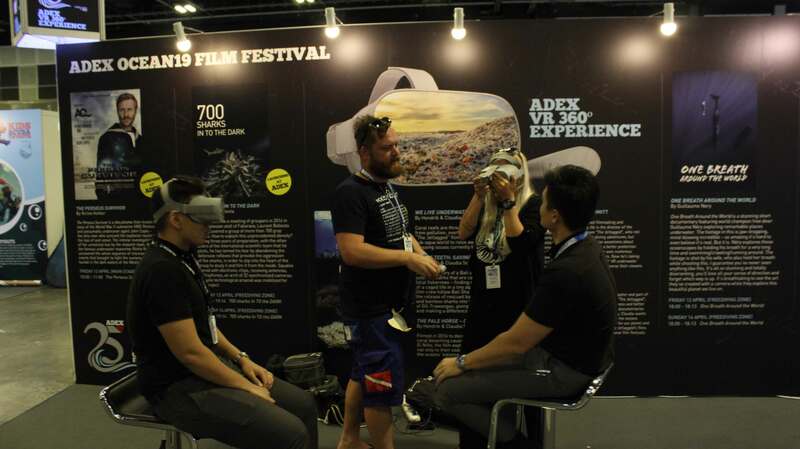 The ADEX Inspiration Talk was swiftly followed by the Future Forward panel discussion on single use plastics in Asia. Moderated by Dr. Toh Tai Chong from the National University of Singapore, the panel featured scientists like Dr Andrew Chin from James Cook University, Dr. Merrin Pearse, Sustainability consultant and ecopreneur, Dr Suchana Apple Chavanch, Dr Voranop Viyakarn and Thirach RungruangKnokkul Executive Director at Agriculture and Food Marketing Association for Asia and Pacific. Freediving fans also got to see their hero up close and personal at the Freediving conference at ADEX Singapore as Alexey Molchanov, ADEX Ambassador for Freediving, gave a talk on training for freediving through yoga, flexibility exercises and explained how the development of your breathing muscles can help you to breathe better and thus relief tension and stress from daily life. Of course, no ADEX Singapore would be complete without the Voice of the Ocean Competition. With an esteemed panel of judges that included Christian Vizl, Amanda Cotton, Ellen Cuylaerts, Indra Swari W, Henley Spiers and Aaron Wong, audiences were treated to expert analyses of beautiful underwater photographs as the winners walked away with holiday stays at Raja Ampat, Komodo National Park , Atlantis Puerta Galera, Atlantic Dumaguete, Summerbay Resort, Ceningan Divers, Fiji, Aggressor Indo & Ombak Rindu. See you at ADEX China in July!